Maximum height 165 cm from the ground. Cooking surface height 100 cm. 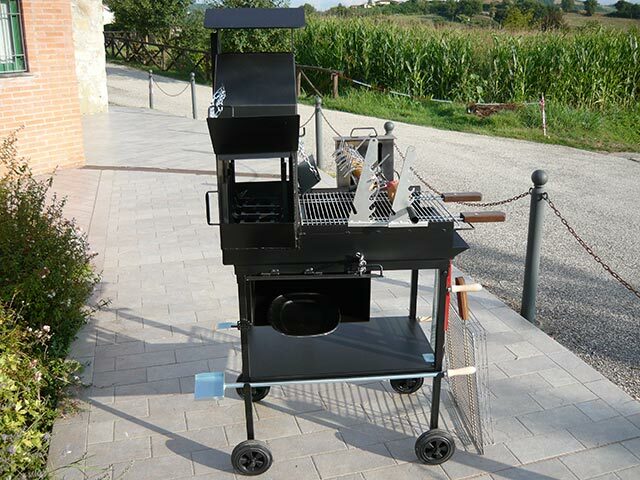 The medium-sized METALMECCANICA AFB product (barbecue artisan) is the VESUVIO Barbecue (grill) model, which has a cooking surface of about 50 × 52 cm classic grill and wooden handles with two different cooking heights. Since its design, it is already equipped with 4 wheels and two wooden handles that make its transport much more convenient and easy. 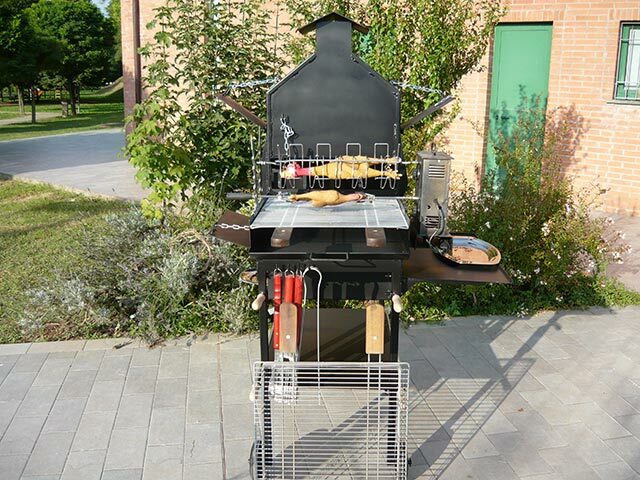 Made entirely by hand, it is very useful for medium size grills, thanks to its fire section (hood) separated from the cooking surface, allowing much more comfortable, safe and practical work. The VESUVIO model can also be divided into two parts for more convenient storage during the period of non-use and transportation. 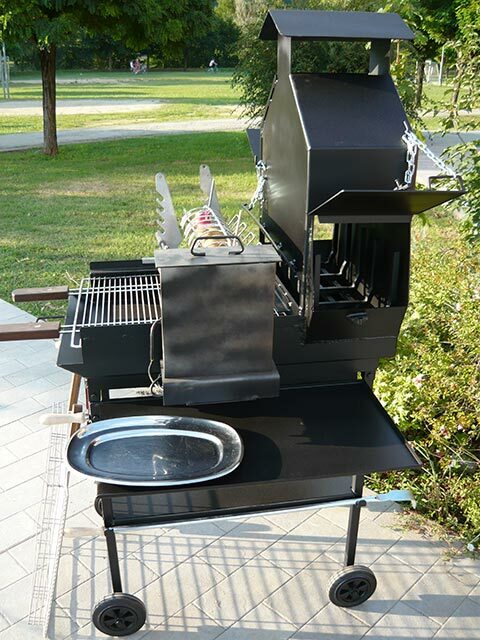 One of the main features of this model that must not be underestimated is the flue baffle and adjustable wood holder; in fact 3 adjustable doors are located in the hood, two on the sides and one in front that allow it to be adjusted and locked in various positions for holding the charcoal in the work phase, and vice versa, when the grill is not being used. 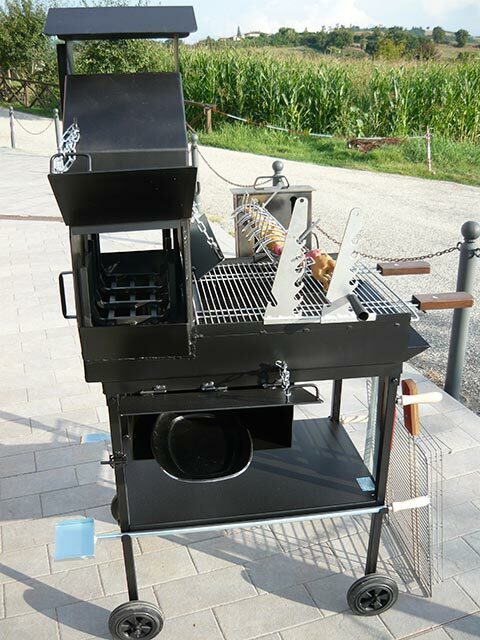 The VESUVIO Barbecue also has on its right side a built-in platform that supports trays, while on the left there is a door to a drawer under the stove that serves to maintain food temperature (heat). 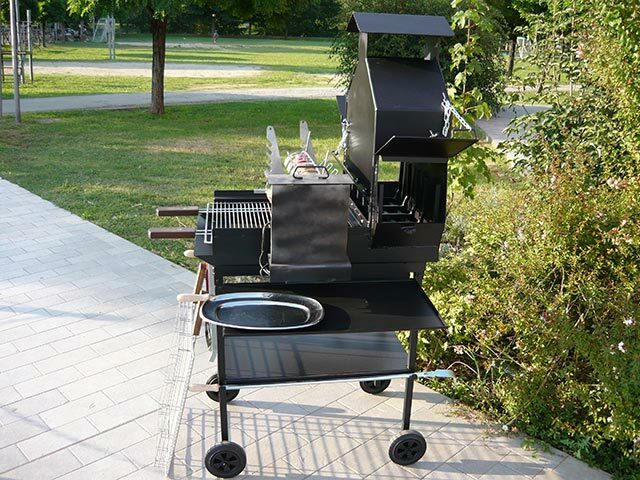 The VESUVIO barbecue (grill) model comes with the kit (fire shovel – grill pull -tongs — meat fork-knife – meat spit) and available rotisserie. 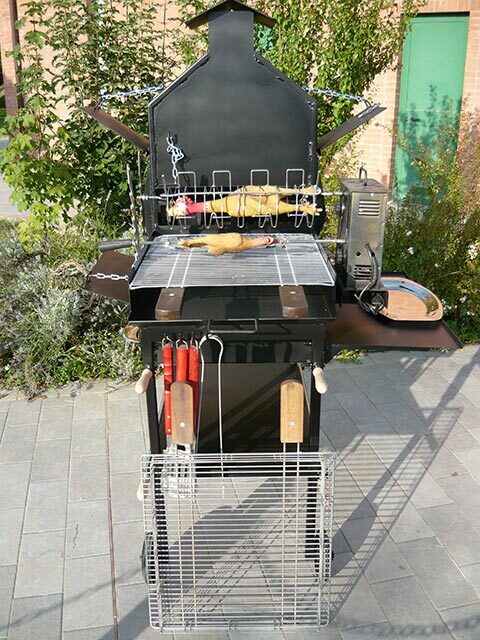 Electric Rotisserie with 2 interchangeable skewers (classic spit and cage spit) see photos. 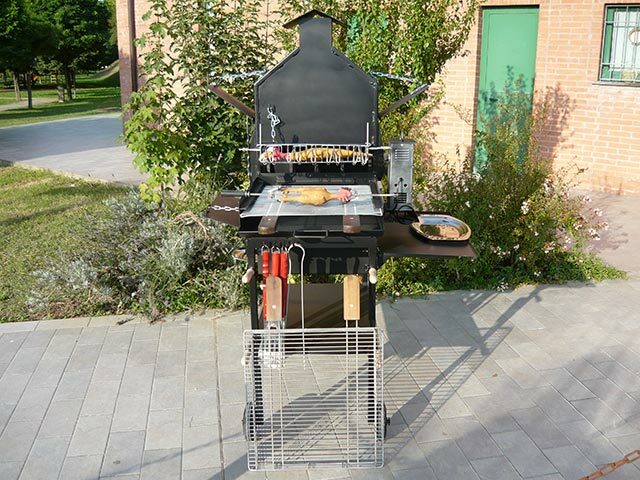 Electric roaster with 3 interchangeable skewers (2 classic skewers and cage skewer) see photos. Grill with walls (see photo) the grill with walls is designed to simplify and reduce the cooking time. 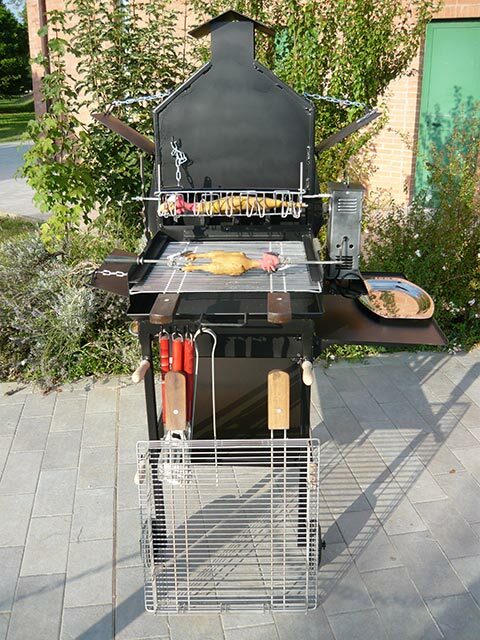 In fact, around the perimeter of the grill are barriers that prevent meats from falling through on shaking.